Digital marketing is a vast and confusing field that encompasses a massive list of marketing opportunities, including social media, content marketing, advertising, search engine optimization, demand generation, retargeting, communities, viral video, mobile marketing, and online reputation management. In this introduction to digital marketing, I’ll show you some of the critical areas where businesses must put in effort and how to make the right decisions about where else to focus your investment of time and money. Unfortunately, due to overzealous marketers and B2B service providers, most business owners are overwhelmed and confused about what they should be doing with respect to their digital marketing strategy. In fact, most business owners have been led to believe that they have to cover all areas of digital marketing to grow their businesses successfully. You may even have heard a social media marketer tell you that you have to be on all social media platforms to grow your business. In fact, the truth is that you don’t have to be on all social media platforms and you don’t have to utilize every digital marketing tool in order to be successful in marketing your business. Rather, there are a few key tools that make sense for most businesses to employ, and decisions about the rest should be based on where your target market is spending time and how they find out about businesses like yours. In most cases, it makes good business sense to make sure that you have a solid website that acts as more than just a brochure for your business, and actually begins to build a relationship with your customers and clients. How that relationship is built (whether through blogging, videos, podcasts, whitepapers, webinars, or other strategies) depends solely on how your target market typically likes to receive information about businesses like yours and about your industry. Your website should look professionally designed and be easy to navigate. Most businesses (not all, but most) can be well-represented with a WordPress site that they can manage themselves, for the most part. You’ll want a web developer you can trust to handle big changes, but in most cases, someone on your team should be able to make simple updates and changes. You should own your own domain name (e.g., www.yourbusiness.com) and a good developer will encourage you to manage your own hosting account, rather than charging you a monthly fee to “maintain” your site. 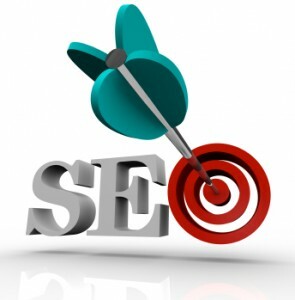 Most businesses will want to employ a bit of basic search engine optimization. Generally, and at the most basic level, you’ll want to write content for your website that naturally includes keywords that people would use when looking for a business like yours. Most businesses could benefit from learning more about SEO and how to implement smart strategies in their daily course of doing business, rather than hiring a firm that may or may not be able to deliver. Despite what social media marketers want you to believe, you do not have to be on every social media platform. If you’re trying to reach executives, you don’t necessarily need to spend time on Twitter. 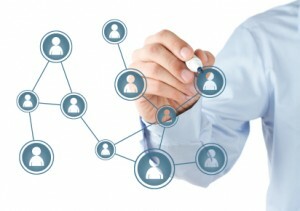 If you’re trying to reach consumers, LinkedIn might not be the right place for you. Most businesses can, however, benefit from having a Google+ account, simply because it does help with a slight SEO boost, despite Google+ being a relatively difficult-to-navigate-and-use platform. One thing businesses must look out for is their online reputations. What most companies don’t know is that even if you don’t think you need a Facebook page, Facebook does think that, and they’ve already created one for you. If you don’t claim that page, your competitors’ information and even advertising will populate the page, giving them valuable opportunities to gain a foothold with your potential and existing customers and clients. And Facebook isn’t the only one engaging in this practice—pre-population of listings and review sites using geo-location data is commonplace today (it happens on Yahoo, Bing, CitySearch, and many, many other sites), so managing your listings and online reviews is essential, especially for brick-and-mortar businesses. It’s easy to become overwhelmed by the abundance of opportunities and necessities in digital marketing. Sixty-two percent of businesses do outsource their content marketing and digital marketing because it is so time-consuming, and most in-house marketing team members are already engaging in other, non-digital marketing activities that are just as valuable. Outsourcing is a comparatively inexpensive way to get your marketing activities under control and well-managed by professionals who do nothing but these tasks all day long for their clients. Managing a digital marketing strategy is never easy, but these are the essentials that most businesses should have in place. Certainly there will be exceptions, and what should guide your decisions will always be, “Where is my target market, how are they looking for businesses like mine, and can they easily find me?” Keep these questions in your mind at all times and you’ll be able to approach your digital marketing strategy with common sense that will yield results.